Yacht Walk at Harbour Towne Marina 10-4pm! This Satuday 1/6/18 : Atlantic Yacht & Ship, Inc.
Atlantic Yacht & Ship, Inc. has partnered with our neighbors at for Yacht Walk at Harbour Towne Marina to bring you a special event. 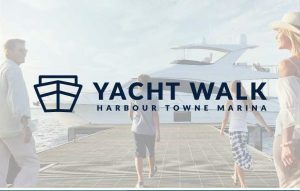 You are invited to the Yacht Walk at Harbour Towne this Saturday January 6, 2018 from 10-4pm. What is a Yacht Walk? This is your chance to walk the yachts in a relaxed environment dedicated to you. There will be a variety of yachts displayed along F Dock. Brokers will be in attendance to answer all questions regarding the yachts and provide tours for those interested. With gorgeous weather and a spectacular view, we are ready for you! Overall the buying and selling of any vessel can be an intricate and complex endeavor. At Atlantic Yacht & Ship, Inc. we have the ability and experience to strategically and successfully guide you through this process. Come find the yacht you’ve been looking for at the marina for this premier event this Saturday! Furthermore, keep us in mind for the Stuart Boat Show next weekend! Moreover, boats on display include a 96′ Hargrave 2008, brand-new 80′ Pearl, 75′ Hatteras 2000, 66′ Viking 2013, brand-new 65′ Pearl, 54′ Hatteras 1992, 45′ sea Ray 2013, 44′ Zeelander 2013, 43′ Everglades 2016, 42′ Boston Whaler 2017, 31′ Jupiter 2003, and a 28′ Chris Craft 2015. Check out the Yacht Walk At Harbour Towne Marina this Saturday!